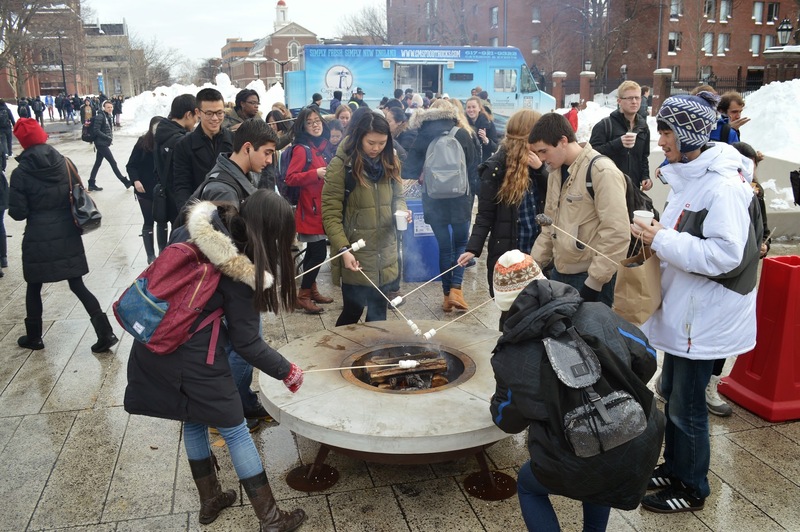 For nearly a decade, Harvard’s ongoing Placemaking efforts have been activating the campus’s public spaces and enriching the lives of students, faculty, staff, and the wider Cambridge community. 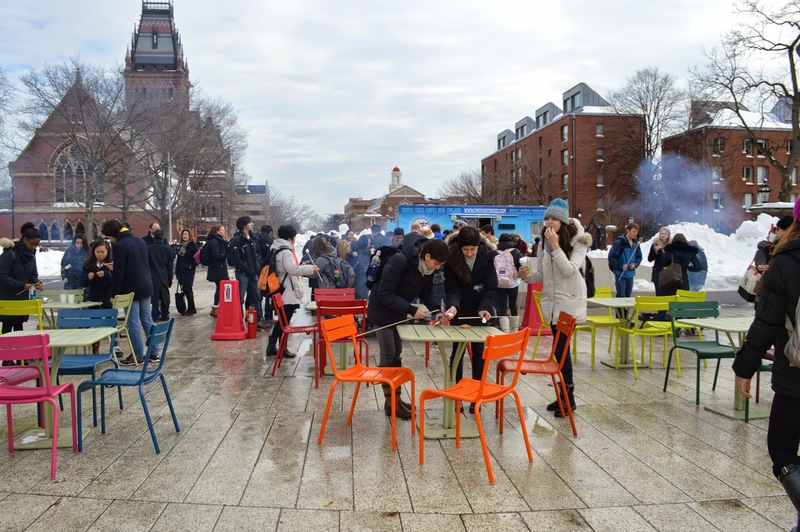 PPS began working with Harvard in 2005 to support their long term Placemaking initiative, helping to use Lighter, Quicker, Cheaper tactics to transforms several public spaces. The first step was adding seating. 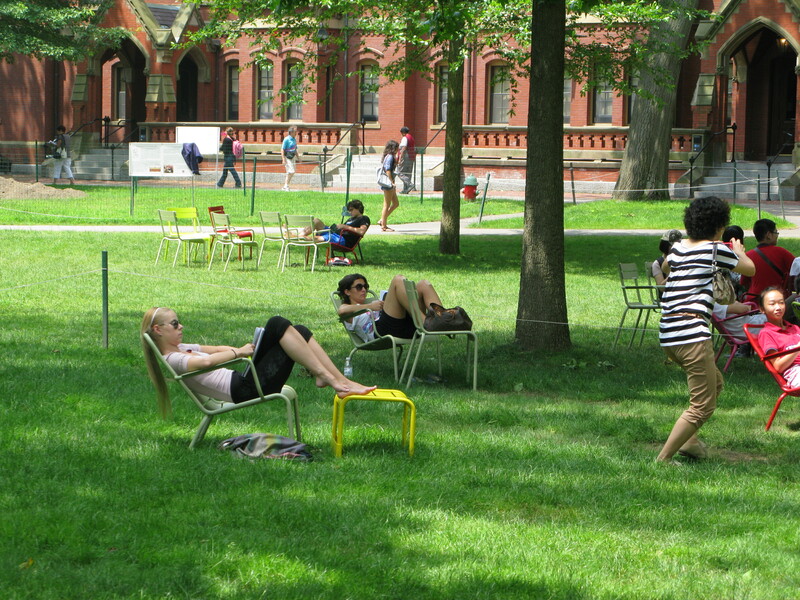 A number of brightly-colored, movable chairs and benches were scattered around the Harvard Yard. This simple intervention quickly gained immense popularity. Chairs were constantly rearranged and turned into venues for hanging out, studying, eating, conducting seminars, and even hosting a giant game of musical chairs. 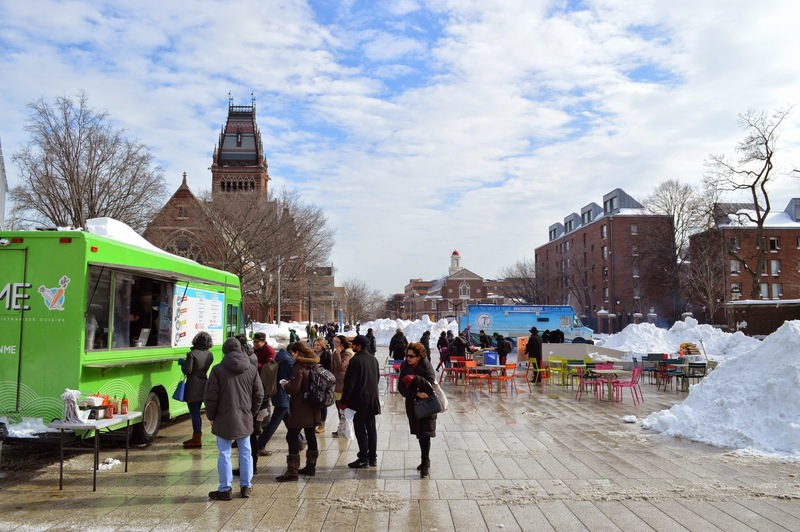 With this success, Harvard identified its next site for activation - The Plaza - an underutilized outdoor space passed through by almost every person on campus. Through pointed LQC improvements and exciting programming, the Plaza was turned into an anchor on campus and a destination for the Cambridge population. The Plaza became the host of The Plaza Pet Therapy Zoo, the Cambridge Open Market, an ice skating rink during the winter, food trucks, games, exercise classes, performances and more. Today, The Plaza and the Harvard Yard are places for coming together, for relaxation, and for connecting students across disciplines and with faculty and residents in unprecedented ways.